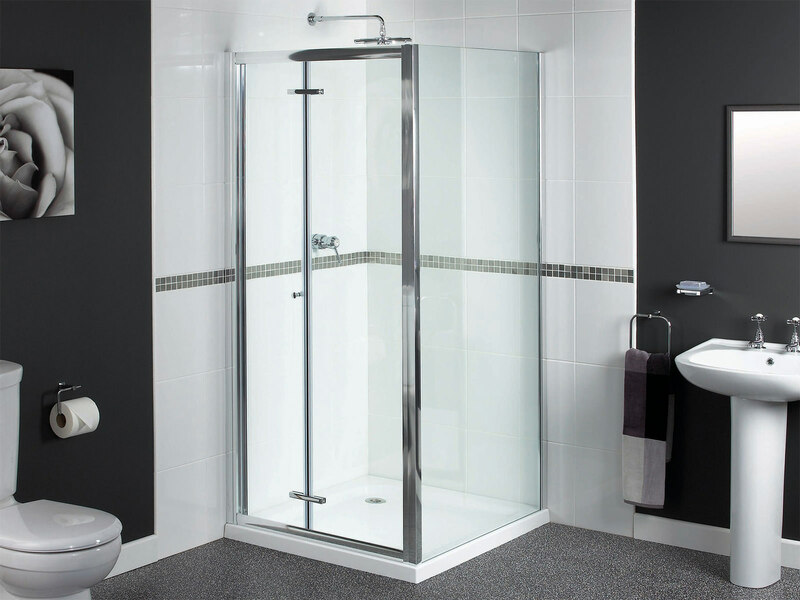 The Bi-Fold Shower Door, from the Shine range of Aqualux features a design that will harmonise perfectly with any bathroom setting. 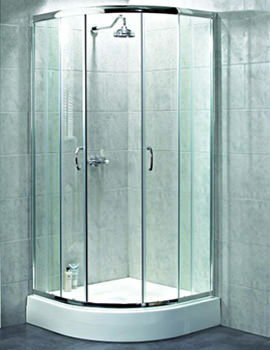 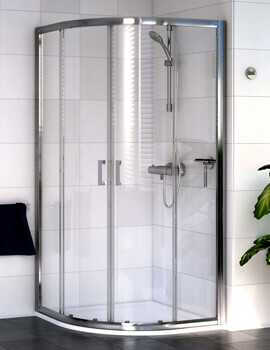 This shower door has a polished silver effect frame, which adds a touch of zing to the shower enclosure. 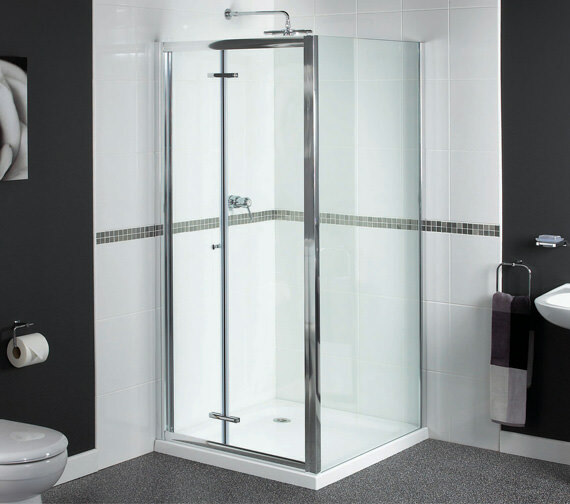 It is made from 6mm thick toughened safety glass with an Aquagleam coating on it, to prevent limescale and soap scum deposits. 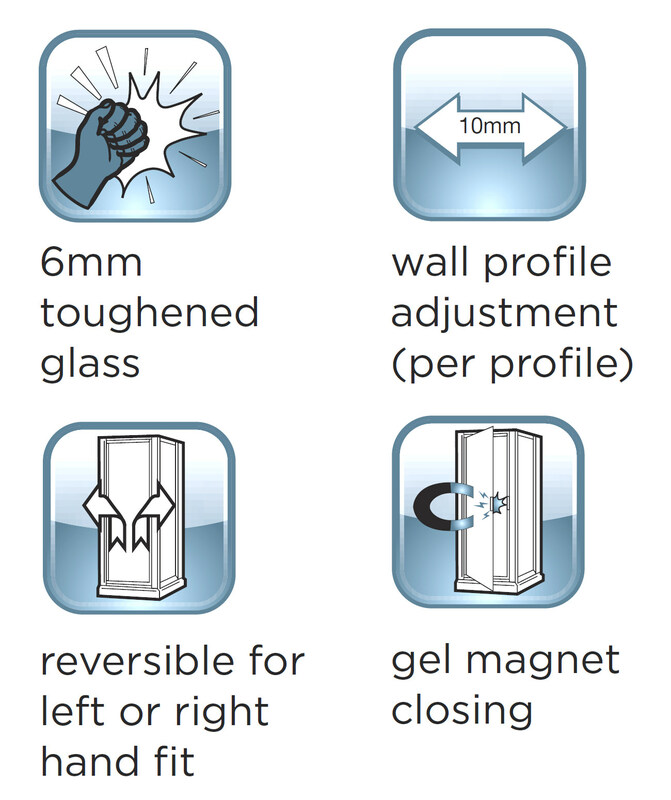 It comes with a gel magnet door closing. 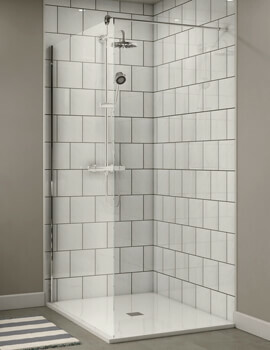 Backed with 12 years guarantee from Aqualux, this shower door is sure to add to your bathroom elegance and your showering pleasure.